With three of the goddess Durga's quests behind them, only one prophecy now stands in the way of Kelsey, Ren, and Kishan breaking the tiger's curse. But the trio's greatest challenge awaits them: A life-endangering pursuit in search of Durga's final gift, the Rope of Fire, on the Andaman Islands in the Bay of Bengal. It's a race against time--and the evil sorcerer Lokesh--in this eagerly anticipated fourth volume in the bestselling Tiger's Curse series, which pits good against evil, tests the bonds of love and loyalty, and finally reveals the tigers' true destinies once and for all. Many thanks to Colleen for the chance to win Tiger's Destiny! I'm a huge fan of this series, and it's a must own. It'll be on my shelves no matter what! My very favorite book series! So excited for this tour and the release of the book!!!! OMG I want it alll! thank you so much for the giveaway. Pre-ordered Tiger's Destiny! EEEKKK! I can hardly wait until it comes out. I LOVE this series!!!!!!!!!!!!!!!!!!!!!!! I love them all! I can't wait for this book to come out! I really really really want to go to Powell's on the 4th but it is a 6 hour drive from me! Who knows I might still just do it!!! Yay! I only started this series a few months ago, but I absolutely love it. And so I'm super excited for the release of Tiger's Destiny. This blog tour will be a great way to build up to the release date. I''m so exciting!!! =). I love the bOoks from Mrs. Houck! Love love love the tiger books! Thanks for hosting the tour! Thank you so much!!! This is amazing!!! OMG so excited for the release!!! *Squeals in delight* It's about time we finally know what happens next!! Love this series! Would be awesome to win! I so enjoy the world Colleen Houck has created! I find I can't help myself, but to return time and again. But I do, often, find I have become sooo immersed in the adventure and romance that I struggle to find my way back to the surface and . . . OMG, is it supper time already. I call . . .takeout! The Tiger's Curse Saga is a guiltless distraction I highly recommend! I absolutely love this series!!! I am counting down the days until I can read Destiny! Thank you so much Mrs. Houck for this amazing giveaway!!! Love the series, can't wait until Destiny is out and in my hands!! Awesome giveaway! Love the series! Thank u so much 4 this awe-some giveaway! This tour has been amazing! Can't get enough! The wait for Tiger's Destiny has been excruciating! So glad it is almost here! Thanks for the chance to win these amazing gifts! I hope I win!!! I LOVE LOVE LOVE this series!! Thank you so much Jean and Colleen!! thaks for this amazing giveaway!!! 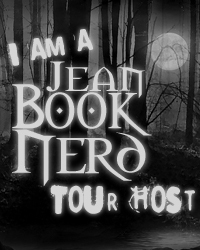 Need to update Blog Tour Links! Please! colleen for all you do for your fans!! Thanks so much for the giveaway Colleen! Jean . . . Thank you for putting together the Tiger's Destiny Blog Tour. It has been a GREAT diversion while IMPATIENTLY waiting for the release of Ms. Houck's Tiger's Destiny! Have made all the daily stops . . .it's been a little hard to follow, but well worth the search. Thank you for the previews of the TD Epilogue & Chapter 1 (Making the Grade), Chapter 2 (Paranormal Reads with Sabrina Ford) and Excerpt #3 with Mundie Moms. Gave me something to wet my appetite (and, of course, I wanted MORE!) The character interviews with Ren & Kelsey were entertaining. Really enjoyed the podcast with ladies from "The Tiger Series", glad to know I have not been the ONLY one who has been majorly frustrated with a certain heroine! Loved the opportunity to see some EXCELLENT extra stuff. Thank you to all who provided the FABulous prizes. Good Luck . . . Tiger FANatics! Awesome Giveaway. Good luck to all. This one goes on the TBR list for sure. Thank you . . . again, for the Tiger's Destiny Blog Tour and the chance to win some GREAT Colleen Houck stuff! Can't wait to see who the lucky Tiger FAN-atics will be! But in my e-mail said that I won a signed bookmark AND a botton of Ren and Kelsey, and the prices describe above said it's only a bookmark of Kelsey... what I wil receive? Aaahhhhhh! Whoot - Whoot! (jumping up & down . . . multiple times! Dancing around like a SUPER HAPPY Tiger-FANatic!) I CAN'T BELIEVE IT! WOW! I WON! A-MA-ZING! Whoo . . .this is just . . . wow! I LOVE Ms. Colleen’s books! I talk them up ALL THE TIME! My mom thinks I’m MORE than a bit obsessive! Can’t help it. Colleen Houck’s Tiger’s Curse saga novels have touched me to-the-core in a way no other books have. THANK YOU! Can’t wait to receive the ARC, love the yellow color! Thank you, Jean, for the Tiger’s Destiny Blog Tour. I had a GREAT TIME visiting all the different blogs, it helped to pass the time until my Tiger’s Destiny book arrived in the mail.